When seventeen-year-old Eviana Dumahl is faced with the responsibility of an arranged marriage and clan leadership, she is forced to choose between the life required of a mermaid and one of a teenage girl simply infatuated with the wrong guy. Kain, her devoted fiance, would make a wonderful husband except that she's been in love with Brendan, a shape-shifting selkie, ever since they were kids. Choosing to abandon her family, her clan, and her life with Kain will have dire consequences far beyond anything she could have imagined. 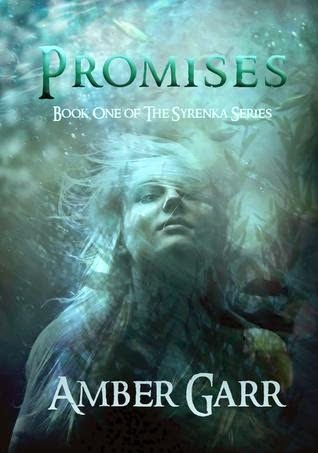 Review: This is book 1 in a series about mermaids, so I thought, why not? I love mermaids and I've never read a mermaid book. I think the premise of this was interesting but I wish there was more of a focus on world building rather than Evianna and her boy drama. Evianna is engaged to Kain, who is by all accounts pretty amazing. She supposedly only loves him as a friend but gets angry (jealous) is he pays any other female attention. Evianna is in love with Brendan, a selkie (he shape shifts into a seal) who she's been dating for years. I can't say anything positive about him, I never warmed up to him as a character. Evianna's family is a very high ranking mermaid family and I wish more time was spent with them, especially her mother. Overall, interesting premise and and okay read.